Thanks to a private donation, the cost of the blinds €550 has already been covered. Míle Buíochas ó chroí! The school & local community raised €200 through the Clothing Collection in October 2018. Douglas Credit Union kindly donated €500. Míle Buíochas! Ward & Burke Construction Ltd kindly donated €200. Many thanks! Keary’s CarStore kindly donated €500 in December 2018. Go raibh maith agaibh! Crossgun Lanes Ltd generously donated €300 was received in December 2018. Thank You! 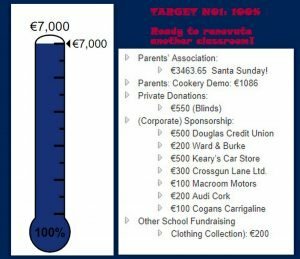 Santa Sunday: A massive €3463.65 was donated by our Parents’ Association – the proceeds from Santa Sunday in December 2018! Maith sibh! Macroom Motors kindly donated €100 in January 2019. Míle Buíochas! Audi Cork generously donated €200 in January 2019. Míle Buíochas! Cogans Carrigaline were kind enough to donate €100 in January 2019. Thank You! 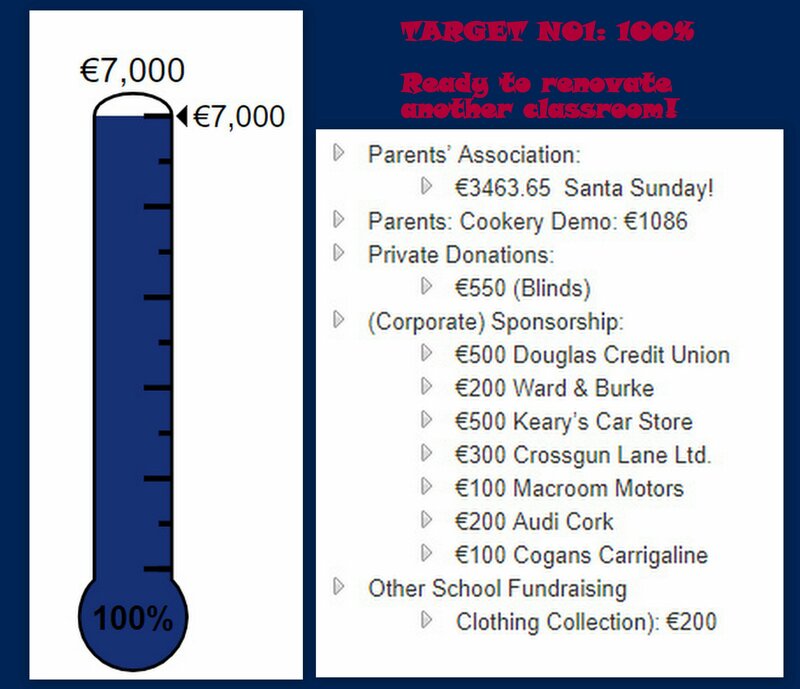 Thanks to the above generosity, we will be in a position to renovate the 2nd Class classroom over the Easter Holidays!! We can’t wait to see it after its transformation!! Míle Buíochas!